These products are specially formulated to help you get ahead at work and play with stamina to spare. Fizz Up and Fuel Good! 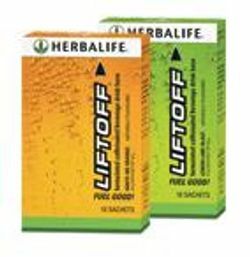 Herbalife proudly introduces a unique effervescent powdered drink base that gives you the boost you need for body and mind, whenever you feel like your engine is running on empty. Liftoff™ helps you stay on top of your day!! In today’s fast-paced world we often try to cram too much into each day. The first remedy for this is good nutrition and plenty of rest. But when you need that extra boost, Herbalife has captured the qualities of guarana in its Guarana Tablets. * Its essence is derived from the same guarana source used for centuries by the Amazon Indians. This gentle, natural herb will give you all the spirited and refreshing attributes you’ll need to improve your day. You’ll be amazed by the results of our new Herbalife24 range – this is a potent performance nutrition range designed to empower athletes 24-hours a day. Herbalife has set a new benchmark in industry nutrition standards of nutrition to help you as you train, recover and perform with the energy of the complete nutritional support you need. 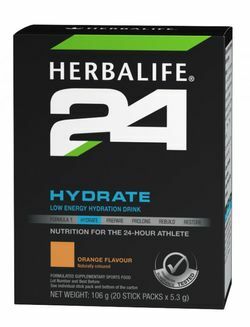 Herbalife24 is a seven-product range that you can customise to meet your changing needs based on your training regime. All Herbalife24 products are screened for prohibited substances and are free from artificial colours.